When you arrive at some destinations, you feel right at home. Though it may be your first visit or you may not speak the language, things feel comfortable and somehow familiar. Savannah, Georgia welcomes people with gracious Southern hospitality. You’ll be ready to house hunt in Hobart, Tasmania. While almost every Italian city offers visitors huge plates of food and flowing wine. But other places feel vastly different from what you’re used to. They aren’t standoffish, they’re just foreign and a little peculiar. One of those unique destinations is Ganvié, the largest lake village in Africa. It’s located in the widely unexplored country of Benin. The West Africa country has a gorgeous coastline, animal-filled national parks, and a complicated history based on the slave trade and voodoo. Ganvié was established by the Tofinu people. They were desperately trying to avoid being captured and sold as slaves by the Dahomey tribe, whose religious beliefs forbid them from entering water. 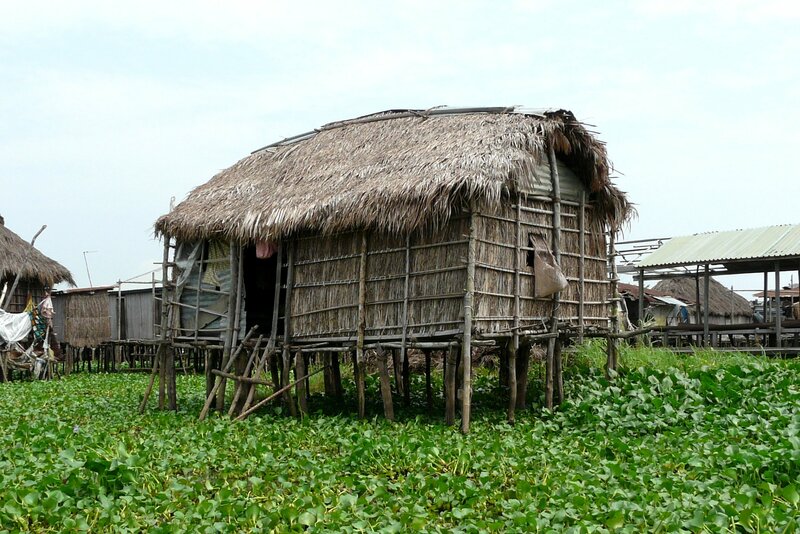 On stilted houses in Lake Nokoué, the Tofinu people were safe. Today, Ganvié is on the list to become a UNESCO World Heritage Site. More than 20,000 people live in bamboo-stilted houses surrounded by water and water hyacinths. The area has nearly 3,000 buildings, including a hospital, a post office, and places of worship. Only the school sits on solid land—it would be hard to play soccer otherwise. You arrive in the village on a flat-bottomed boat. Pens made of palm fronds sit in the water to farm fish. The market is a floating one. 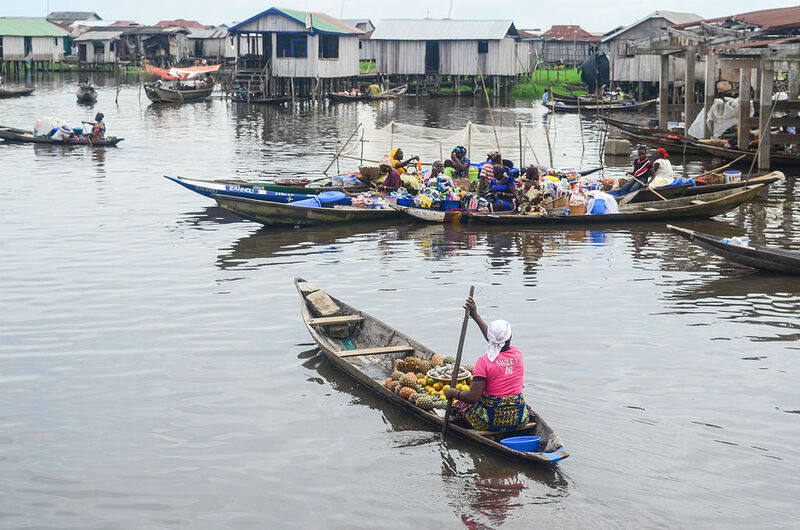 Women sell bananas, pineapples, and colorful fabrics as they paddle around in pirogues. Chickens and goats are being prepared for a later sacrifice. While fresh fish, corn, and rice are cooking at a small restaurant that has a few tables overlooking the water. Some call Ganvié the “Venice of Africa.” It may not have “la dolce vita” vibe and you may not feel like this is a place to which you’ll return to again and again, but Ganvié is distinctive, rare, and the reason you keep traveling.